Hey friends, it’s that time again! I am busy making list, checking it twice (only to find that I’ve left it at home on the counter… you know, haha). 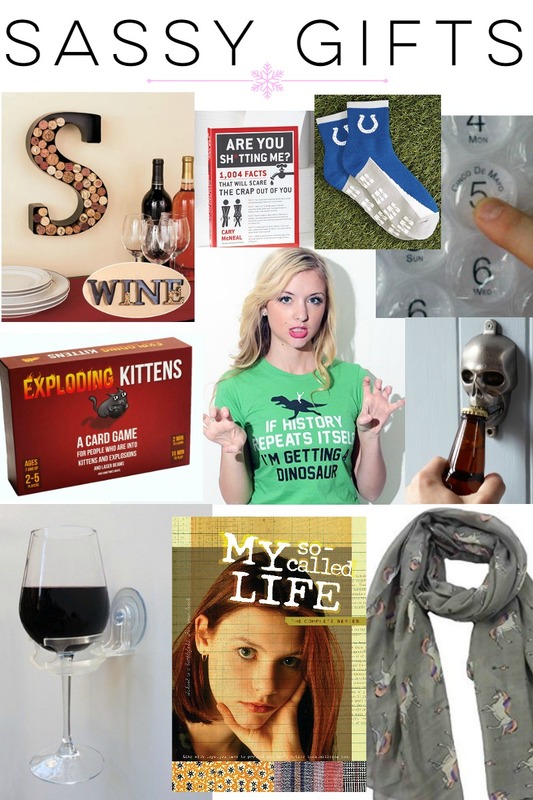 But in all seriousness, today I’ve got some great gift ideas for you to check out! 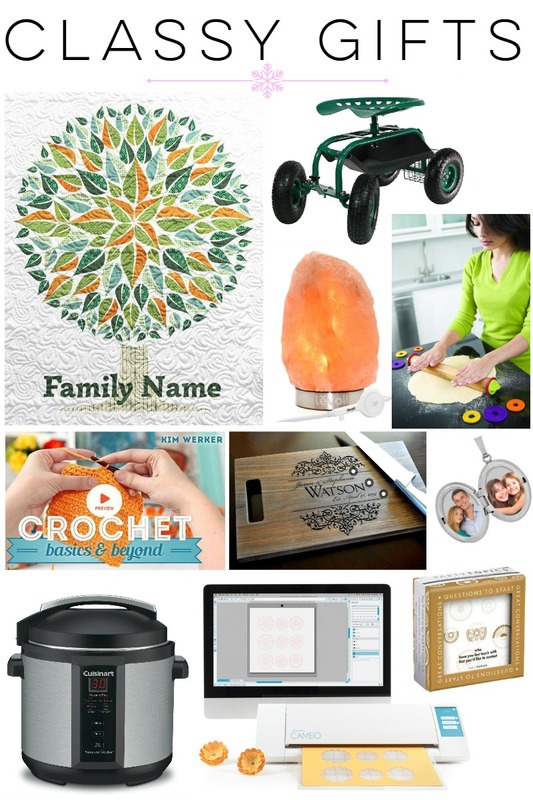 I put my head together this year with my family and friends to come up with FIFTY gift ideas for everyone on your list. Now, some gift guides are basically just an online catalog of brands who have paid or provided product to be included. (There’s nothing wrong with that! 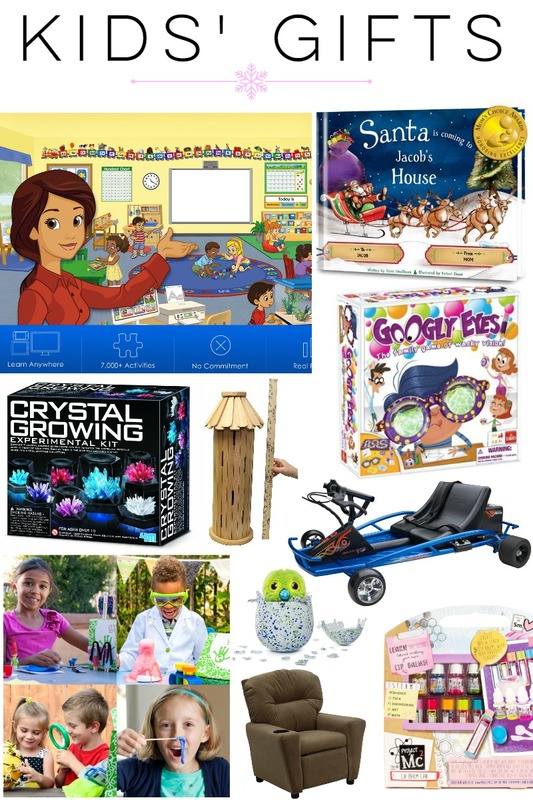 Who else remembers circling your favorite things in the toy catalogs as a kid?) 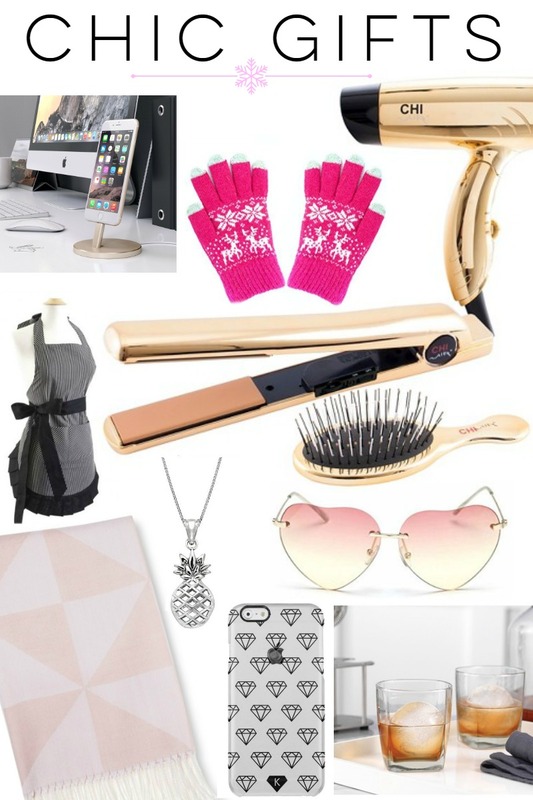 This gift guide is not sponsored, it’s my personal list of recommendations this year for all the different types of people on your list! 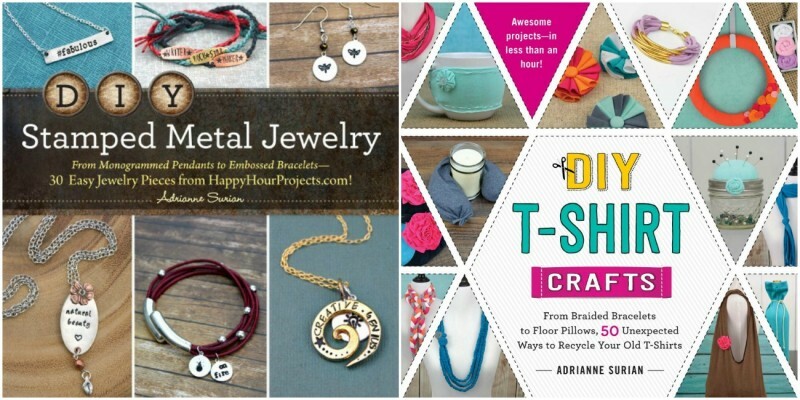 Most items are pictured, and most links to shop are affiliate links – which means that if you start your shopping here with me at Happy Hour Projects, I’ll earn a small commission if you decide to make a purchase. 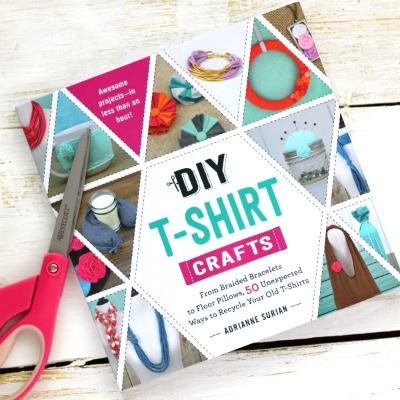 I’m going to kick things off by recommending that for the craft lover in your life (and hey, maybe that’s you!) that you pick up my craft books as you shop this year. 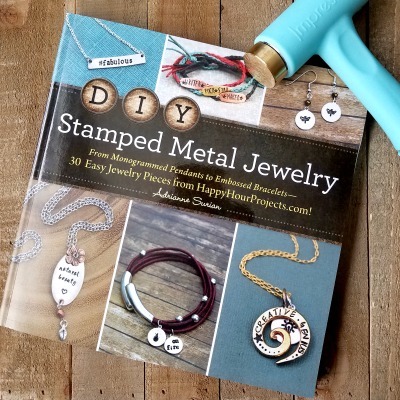 Adding DIY Stamped Metal Jewelry or DIY T-Shirt Crafts to your Amazon cart helps me support my family as a writer, and in the two books there are a total of 80 projects that you won’t find on the blog! 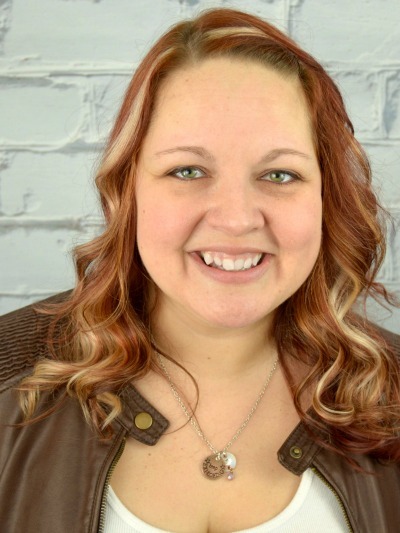 Thanks to all my fabulous readers who help me keep tutorials free and allow me to work from home with my kids! Now – let’s get in the spirit of things! 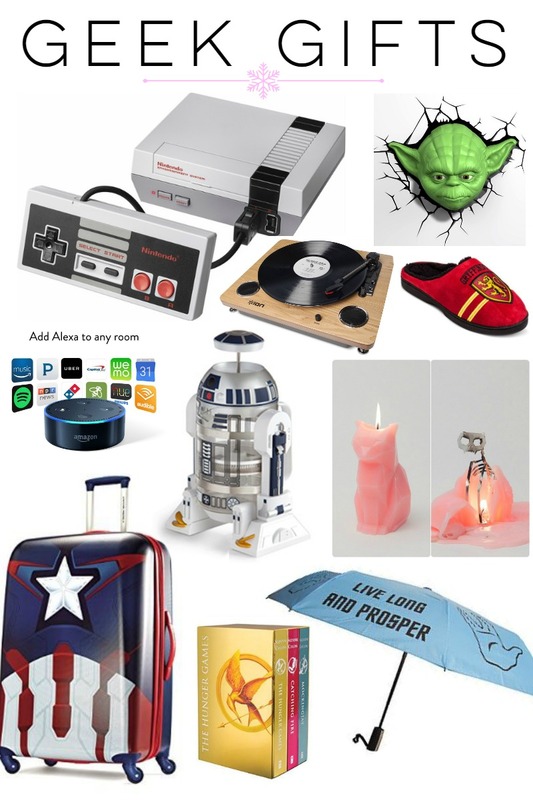 Below you will find classy gifts, sassy gifts, geek gifts, chic gifts, gifts for kids, gifts for guys, girls – there’s bound to be something interesting for every person on your shopping list! All right friends, that’s a wrap! (You see what I did there?) I hope you got some great ideas while you plan your shopping, and I wish you all a very merry Christmas, and a safe and happy holiday season. This blog Is extremely instructive , I am extremely satisfied to post my remark on this blog . I am happy to get that type of amazing stuff and I enjoy it due to interesting information! That apron is adorable. Also love the wine glass holder. Thanks for the ideas. Love these lists! I saw a few things on each list that I would love. I want to get the Nintendo system for my husband but it’s sold out already! Ugh, I KNOW! It’s the #1 thing on my list (for myself, lol) and I know my husband won’t be able to find one. I’m still hoping, though! I use to LOVE My So-Called Life. I should rewatch that series. I love that dinosaur t-shirt, lol. Funny. How exactly does a pressure cooker work? I”ve been hearing a lot about them. Basically – a pressure cooker speeds cooking time, retains moisture in cooked food because it’s sealed and you don’t have evaporation issues, and there are several one-pot set-it-and-forget-it recipes floating around out there. If you’d like to know more, I’ll have her chime in!